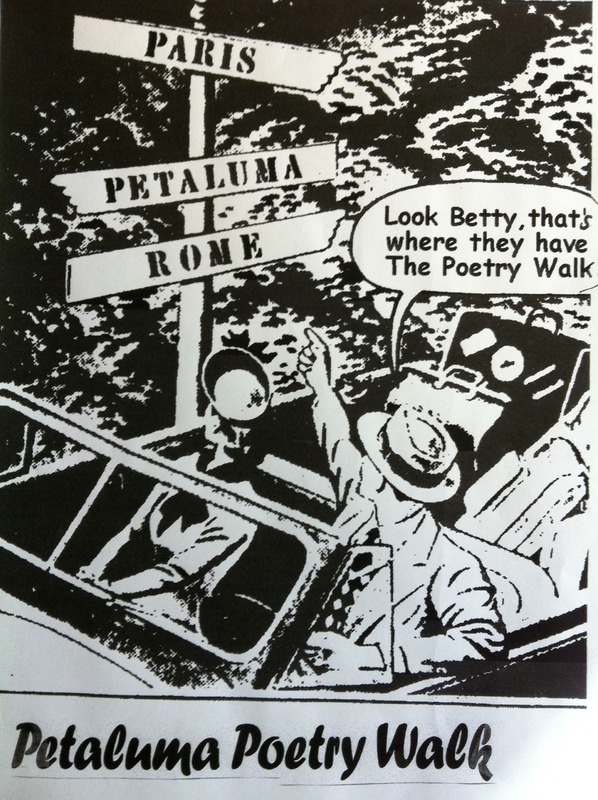 September again, and that means the Petaluma Poetry Walk is in the wings, ready to delight. 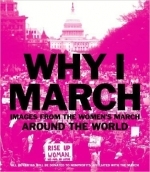 This year’s Walk will be held on September 17 from 11 AM to 8 PM, starting at the Seed Bank on Petaluma Blvd, proceeding to the Riverfront Art Gallery, Cultivate, North Bay Café, Copperfield’s Books, the Phoenix Theater, the Petaluma Historical Library and Museum, and concluding at Aqus Café. Bill Vartnaw, Geri Digiorno and their team have put together a great line-up of writers at each venue, with a special tribute to the late David Bromige at the Phoenix at 4 PM. All events are free and within walking distance. Mark your calendars, and check the Poetry Walk’s website for the full list of readers, as well as the generous sponsors who keep this premiere literary event going: http://petalumapoetrywalk.org. 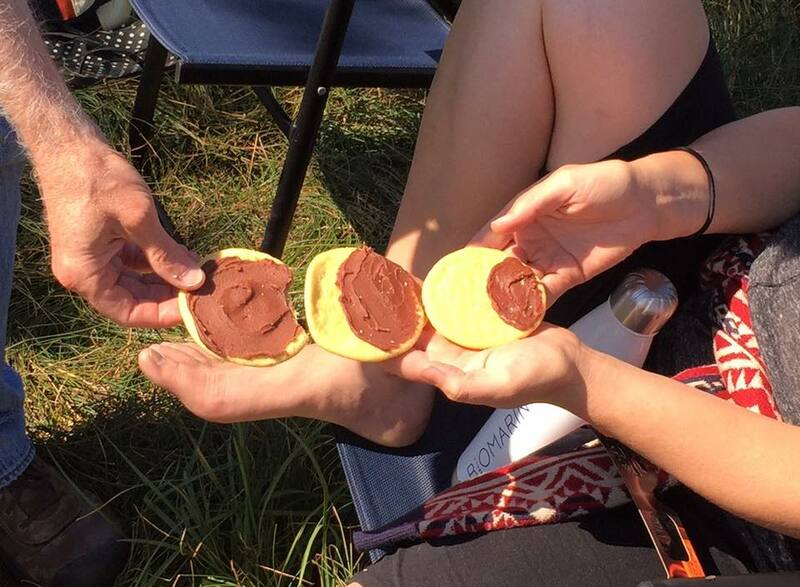 Last month some of us saw cloudy skies; some of us got partial eclipse views; enjoyed eclipse cookies and the multiple crescent shadows cast by the dappled sun in the leaves. But the lucky and brave few who ventured north were treated to a total eclipse that was surely as beautiful and inspiring to you as it was terrifying to generations past. I invited those in our literary community to write about their experiences to send in their work, and Fran Clagget responded to the call with her original poem, “Final Eclipse,” included at the end of this post. I’d be happy to include others, so if your eclipse poem or essay is still in process, please send it along when it’s ready. Monday, September 4, 6:15 p.m. Rivertown Poets will be changing the usual format this month to include three poets who will share their work in a spontaneous, read-around salon style, loosely focused on the theme “Summer into Fall.” Poets Bill Vartnaw and Larry Robinson will join Sandra Anfang for this reading. It’s Labor Day, but what better way to finish off a long weekend and kick off the month of September? After the potato salad has glazed over and the political chatter has ended, join us at the Aqus Cafe for an evening of distraction, depth, and delight. Open mic follows the features. On Saturday, September 23, the Sebastopol Center for the Arts will host a book launch for Katherine Hastings’s newest anthology, a collection of poetry by women called Know Me Here. Come join the party! We’ll be celebrating the work of many Sonoma County writers, including Gwynn O’Gara, Elizabeth Herron, Iris Dunkle, Jodi Hottel, Maya Khosla, Kathleen Winter, and Toni Wilkes, but the anthology also features Ellen Bass, Gillian Conolely, Molly Fisk, Brenda Hillman, and many, many more. You can buy a copy of the anthology at the reading, or at this link: www.amazon.com/Know-Me-Here-Anthology-Poetry/dp/0981456944. Occidental Center for the Arts is hosting a book launch for recently published novel The Right Story at the Right Time by Marianna deCroes. The event will be Sunday, September 24 at 2:00 p.m. Growing up is hard work. Well-chosen stories can help children by tapping into their capacity for imagination. Free admission, all donations gratefully invited. Selected readings, Q&A, 90-minute workshop, book sales & signing. OCA, 3850 Doris Murphy Way, Occidental. 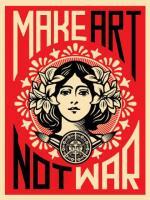 Sometimes it’s a challenge to find a place to publish work that has a political edge to it. But if you’ve been “singing in dark times,” consider the Syracuse Cultural Workers, who every year put out a call for any/all who identify as women to submit their art and poetry. I’ve had poems selected for their Women Artists Datebook several times, and this group is really a pleasure to work with. They also pay, which these days is a rarity. They even know how to use the serial semicolon. What’s not to like in that? You can find out more about their submission guidelines and dates at their website, where you’ll likely find other things to like, including their Peace Calendar and the book Why I March: www.syracuseculturalworkers.com/art/call-for-art. 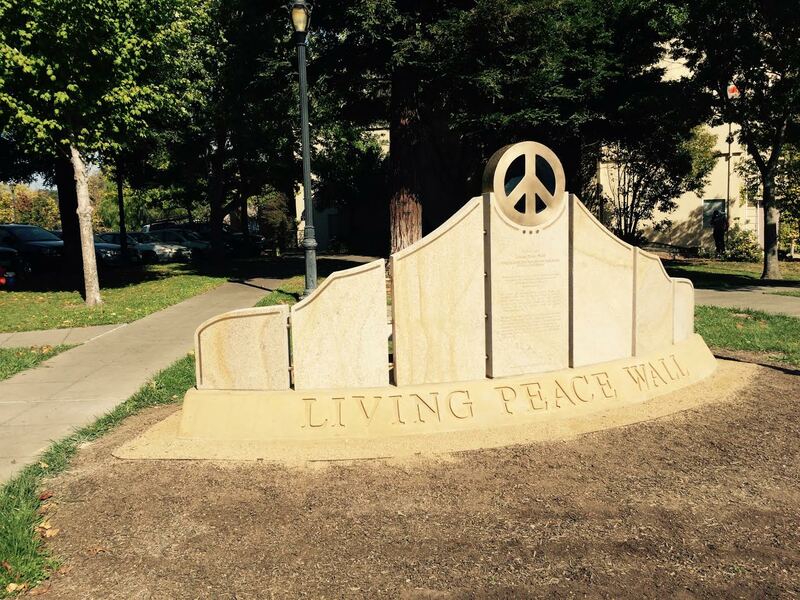 Speaking of marching and peace, I want to congratulate writer, photographer, activist, and original free-spirit Susan Lamont who was honored last Sunday, along with 4 other activists, and now has her name added to the Living Peace Wall in Sebastopol, created and designed by Michael Gillotti. 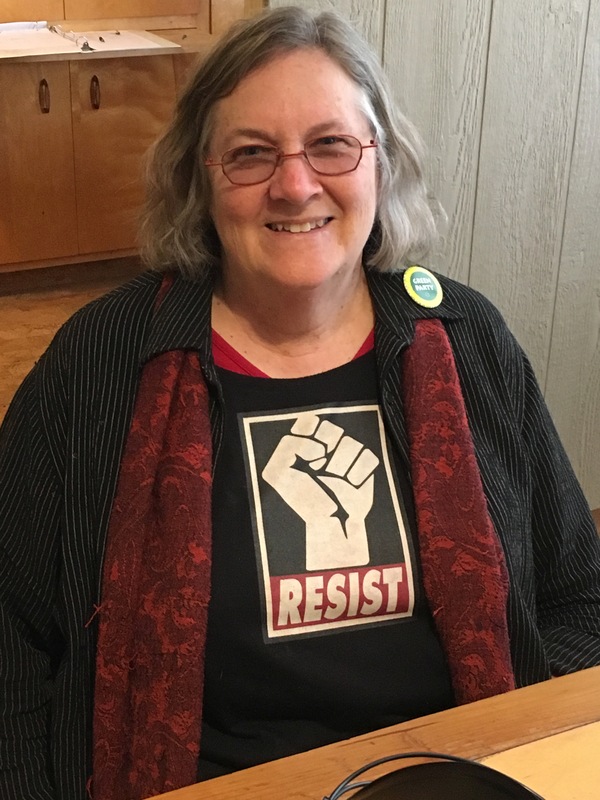 Many of you know Susan from her work with the Peace and Justice Center and the monthly 100 Thousand Poets for Change readings at Gaia’s Garden, which she has hosted for several years, or you have followed her many letters and editorials in the Press Democrat. The other four movers and shakers in our community who were honored along with Susan include Holly Near, Don and Dee Schilling, and Charles Kiteky. Such fine company! In her speech, Susan said, “Quite a few years ago, I held a gathering at which each person told their story of how they became an activist. Every story was different and inspiring. I recommend that people get together for the same purpose. You’ll enjoy it.” I think that’s a great idea, not only for community building, but also for good story-telling. Candidates must be residents of Sonoma County, whose poetry manifests a high degree of excellence, who have produced a critically acclaimed body of work, and who have demonstrated a commitment to the literary arts in Sonoma County. If you know someone you’d like to nominate, or if you’d like to be considered for this prestigious post, stay tuned for announcements to come from the Sebastopol Center for the Arts. I’ll follow up with links in the October Post of the Sonoma County Literary Update.